Great wall, the background really explaining the situation. Great job! my favs..
(*sob*) That was such a beutiful scene.......... Also love the worlds you put with the title. Thanks! I love this couple too! -thinks back to this scene- T'was a beautiful one! 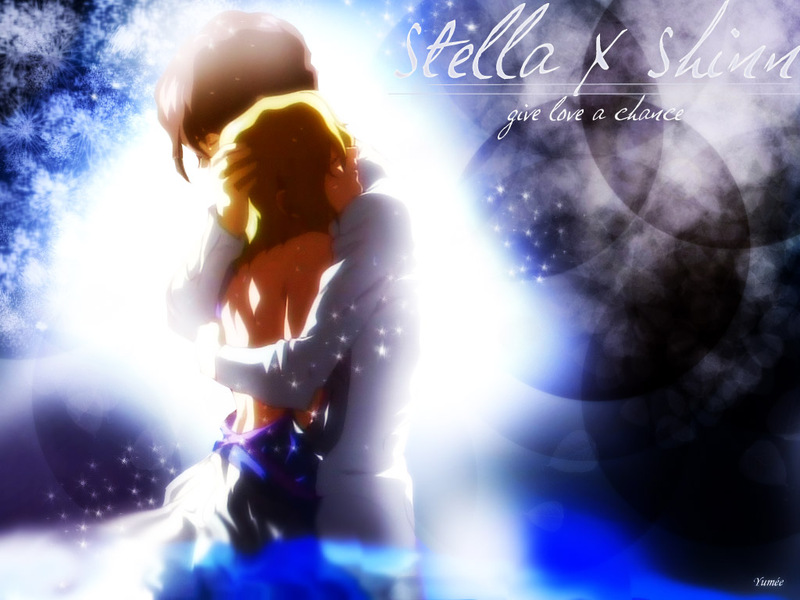 ^_~ I love the background of this wallpaper, as well as the quote underneath the title "Stellar x Shin". ^^ Great job! This is beautiful. Shinn was consoling Stellar assuring that she'll be alright. Hi yumi!Hab auch mal geaddet!XD :) Damn.Was schreib ich noch um die Mindest Länge zu erreichen.Mach weiter so XD.Und verklicker mir mal wie man im level hier höher kommt? it may look like a lot of effects has been used for the wallie, but once you zoomed in, you get to see a good wallie comprising the couple of GSD: Stellar and Shinn! this is a lovely scene of the two together, one of the ONLY times it happened before her death. Thanks for sharing, man. Favs! lovely wallpaper u got there Yumeeture ^_~ kudos to ur work as well(add to fav). thnx for the effort u put into. I do not why shinn like lunamaliya after stellar died!